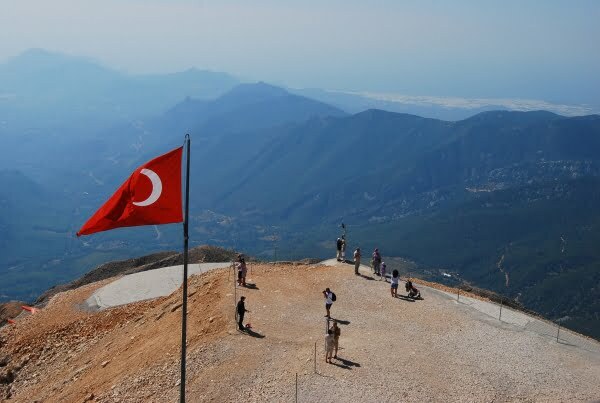 Independent Travel vs Guided Tours: Which Is the Best Way to see Turkey? Such is the diversity of Turkey; its general appearance to the outside world can differ in many ways, mainly depending on nationalities. I am no longer surprised to receive e-mails from readers in countries like Australia or America, who plan to visit Turkey but are hesitant about travelling independently and question if they should they sign up to a guided tour instead? Having done both guided tours and independent travel in Turkey, I can see the benefits of each. While researching my Northeast trip, I discovered that a guided tour with accommodation, transport and professional guide would actually be cheaper. The transport network for the Kackar mountains (the main reason to go to the Northeast), was also extremely adhoc, so I gained by paying a tour agency for guaranteed transport. However, while touring the more touristic South-west coast, I travelled independently by bus and just signed up with travel agencies in each resort, for day tours. I would do the same if visiting Istanbul. The decision mostly depends on what you want to gain from your time in Turkey, the region that you plan to visit and also your preferred style of travel but what do the tour agencies say? Efendi Tours in Istanbul is a leading expert in the Turkey Tour Industry. They have received a Trip Advisor excellence award and their sister site, Backpackers Travel received a World Travel Award in both 2013 and 2014. They say most people have misconceptions about services offered by Turkish Travel agents. Tourists can still tap into local knowledge and discounted prices that tour agencies offer, even if they choose to travel independently. Efendi Travel describes it as the “third option” which it is a self-guided or tailor-made tour. The customer tells the tour agency where they want to go, all questions are answered and arrangements are made, exactly as to the customer’s request. While traveling around Turkey, the customer has the benefit of 24 hour phone support, local and regional advice as well as the freedom and flexibility to travel at their own pace. Internet and phone technology has given tour agencies the opportunity to fine-tune their products and service. Efendi Travel describe this as…. They are also keen to emphasise that guided tours that were popular in the 1980s, namely 42 people squeezed onto one rusty old bus, with a guide that doesn’t speak English are a thing of the past. Tour group sizes have been narrowed to roughly 15 people, allowing flexibility in the schedule, more one-to-one time with the guide and a slower pace of traveling. Also a large family or group of friends can organize a private tour, for an extremely good price. Efendi Travel are also keen to point out that over the last 10 years, standards of Turkish tour agencies have increased dramatically because the Turkish tourism ministry is now stricter. Agencies have to be a member of TURSAB (Association of Turkish Travel Agencies). Spot checks are done by the local Zabita (local council workers responsible for public trading areas) or potential customers can search for licenses and certificates on the TURSAB website. Guides working for the tour agencies also need to be registered and licensed. Extensive training is given and they have to pass exams to receive their license. Hence, a good guide can make an extreme amount of difference, in terms of enjoyment. For advance payments, Efendi Travel use 125 bit SSL secured online system so that they never see the customer’s credit card details. Aspects like this, means that standards are now on par with travel agents in the Western world and people should not have misconceptions about Turkish Tour agencies. You can join daytime guided tours if you want. The transport network is generally good, frequent and cheap but it can start to get adhoc if you venture into more remote areas. Solo female travellers who have never visited Turkey may be alarmed by the amount of attention given by Turkish men. Likewise, first-time travellers are prime targets for the hassle given by shop-owners but if you are with a guide, they leave you alone. All licensed guides speak at least one foreign language, mostly English so you have your own personal translator. Local tour agencies and guides have a wide contact network, are experienced and keen to share their traditions and culture, so often build this into the itinerary. Guided tours are ideal for first-time visitors to Turkey or those traveling to a remote destination. For solo female travellers, they are also generally considered safer. Depending on the region, you can actually save money. Tour agencies get access to discounted hotel rates and some private attractions. All planning and arrangements are done for you. You just have to pitch up at the allocated time on the date stated. Some tour itineraries are fast paced, but any good travel agent should be able to modify this for you. Question for Readers: Which method of travel do you prefer? Independent or guided tours? Note : Many thanks to Efendi Travel for their participation in this post. They can be contacted via their website or their office is in Istanbul at the following address. Thank you Alan – off to check your Amasya article now. That is still on my bucket list! I was the same as you Emiko in that I did not want to drive in the Black sea. Not only that, but renting a car would be expensive. 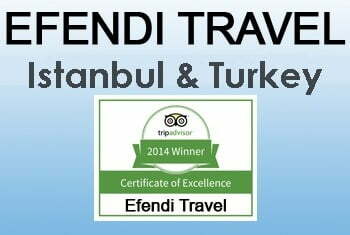 Check out Efendi travel or if you are still in Istanbul, drop in to see them. They a great crew. . . spot on and excellent advice Natalie – visitors should have no fears about traveling around this beautiful country – the people are a delight! I’m in Istanbul right now and trying to do some solo travel. I really want to go on my own, but you’re right – getting information about less known places is hard. I’m headed to the Black Sea region this week, and I’m doing it alone, but relying on tours to help me get around since I don’t want to rent a car. (I’m an American – I can’t drive stick!) I’m curious now to look at the travel agency you mention.